I think they've just been pulled. As was said upthread - book first think later. Within 24 hours at least... The return of the intern? I also think these have just been pulled. I has a price quote and was in the booking process when the credit card payment stage crashed out with an error message. Now the fares are doubled. I didn't think they would be pulled this fast as it didn't smell like an error, just a flash sale. Obviously a very short flash. Dammit. I'm only been thinking about a TP run for the last few days, but I've decided it is a great idea. I have also mulled it over with my wife and decided I will need to do the runs on my own rather than as a couple. That deal AMS to ANC was fantastic. The point made earlier in the thread makes sense - if the deal is right, book the flight, rather than waiting as it gets pulled. Really hoping something similar becomes available soon. Valid until the 6th of September, TP resets on the 8th. For the first transatlantic. So the return can be after. 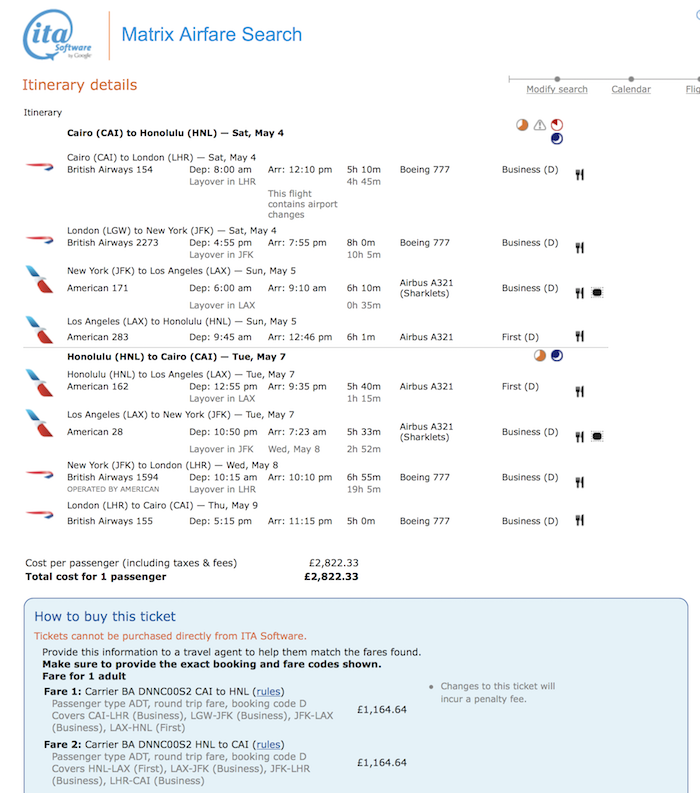 I was able to book via Hel, lhr, east coast to west coast. RT was about 1300eur and 880tps. 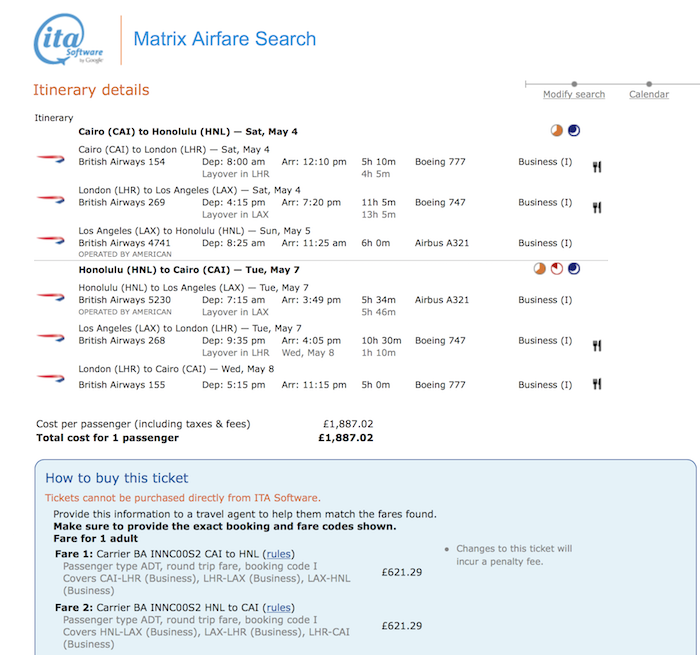 I found a single itinerary AMS-DFW-LAS-PHL-AMS on GoToGate that doesn't reprice, in fact it prices at £792 What are people's opinions on them? Am I likely to be fobbed off with an Economy ticket? I jumped on this fare as well since I had a light travel year and needed some TPs, didn’t optimize it as much as you guys did: AMS-LHR-JFK-LAX-BOS-LHR-AMS, with both transcontinental flights upgraded to First, booked on AA stock but with BA flight numbers for extra avios. 640TP and 42K avios (as gold) for 1200 euro not bad! florens, medtravels and george77300 like this. Yeah, I saw that too, but it worked fine when I was checking earlier when the fare was alive. Ahh... he*k. Couldn't get it to price online, went to a meeting, now the ams fare's gone. Hoping the experts here can help me diagnose issues with my pricing. Last year I did a CAI-HNL run which was great for connecting to AUH to see friends etc. I was looking at a similar trip this year and can get good pricing CAI-LHR-LAX-HNL but adding JFK to make CAI-LHR-JFK-LAX-HNL seems a jump from ICCC00S2 fare basis to DNNC00S2 fare basis, with a large uptick in price. It is possible to modify to include HEL to make CAI-LHR-HEL-LAX-HNL for a small price increase which is useful for extra TP's but it introduces large slack periods in the booking in HEL etc. 2 TRANSFERS PERMITTED IN EACH DIRECTION. AND - 2 TRANSFERS PERMITTED IN EACH DIRECTION. These are the same Transfer rules between I and D. So it's possible to tack on HEL in Europe but not add JFK in US. Any advice appreciated. I will dig into the fare rules some more! I can't find mileage restrictions in there though. "NO MINIMUM STAY REQUIREMENTS APPLY." Hmmm true! Just checked EF and there's no I availability LAX-JFK at seemingly any time in the future. Very weird. Yes certainly more expensive than before, unfortunately. I believe you need BA codes the whole way, which Matrix can't deal with. Try Propellor Travel.